Fabio Zambolin is a young producer from Alto Piemonte. An assistant to Cristiano Garella at Le Pianelle. This is his first vintage imported into the USA. Field Blend Selections is proud to be the first US importer of the wines of Fabio Zambolin. Fabio, a native of Cossata in the Alto Piemonte, is a cellar rat at Le Pianelle, where he works with famed consultant, Cristiano Garella. The two have been friends for some twelve years. While Fabio has been making his own wine since 2010 from a plot of vines inherited from his grandparents, Feldo and Lida, it was only with the 2014 vintage that Cristiano began to lend his consulting expertise. 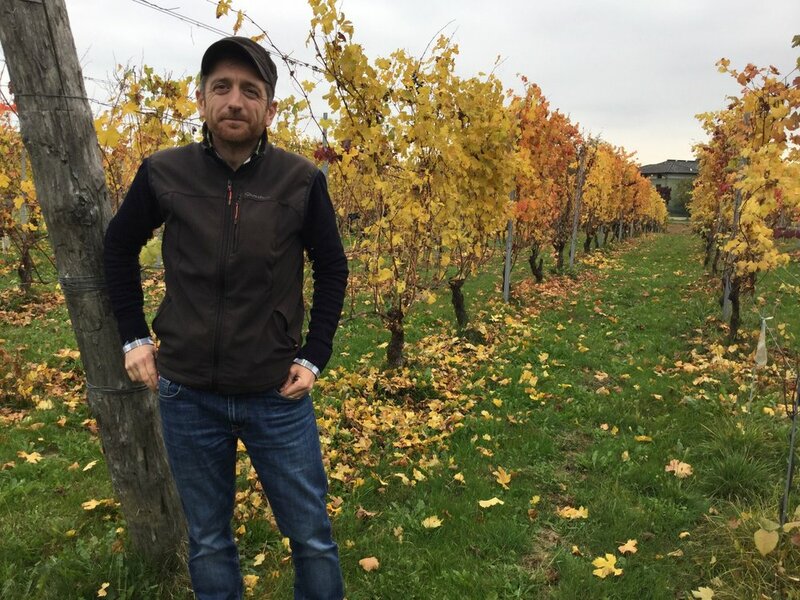 In addition to the vines that Fabio inherited from his grandparents, he also has a long-term lease on a beautiful, mixed parcel of Nebbiolo, Vespolina and Croatina planted on a steep, terraced vineyard in the nearby Valdengo commune. 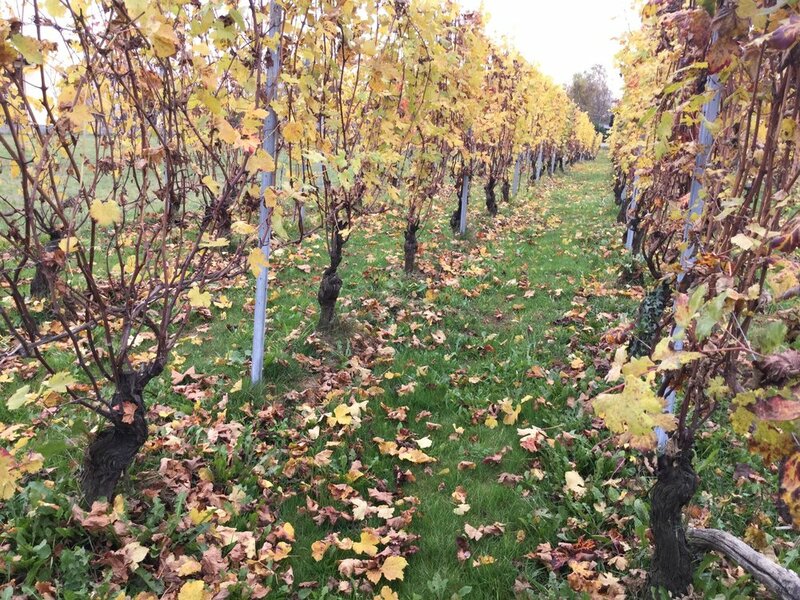 These beautiful old vines are maintained entirely by him. 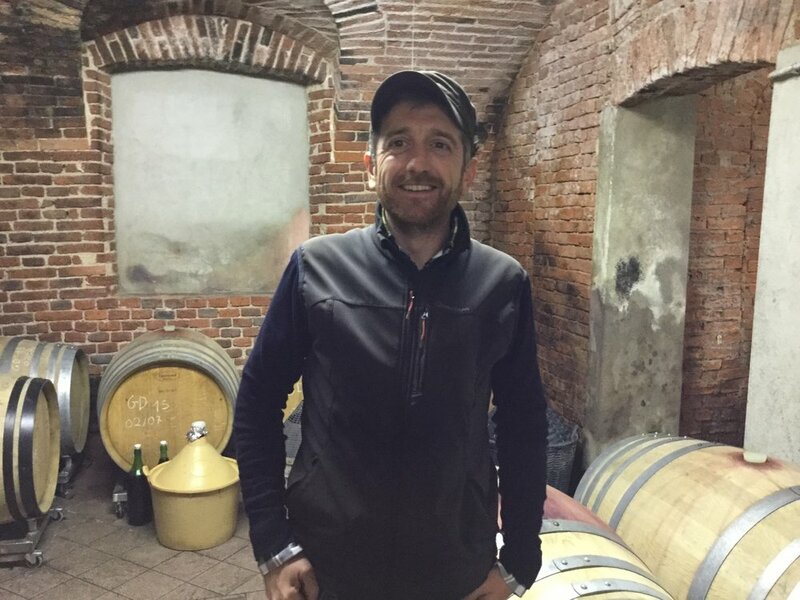 Fabio is one of a handful of producers that are leading a renaissance in the Alto Piemonte. 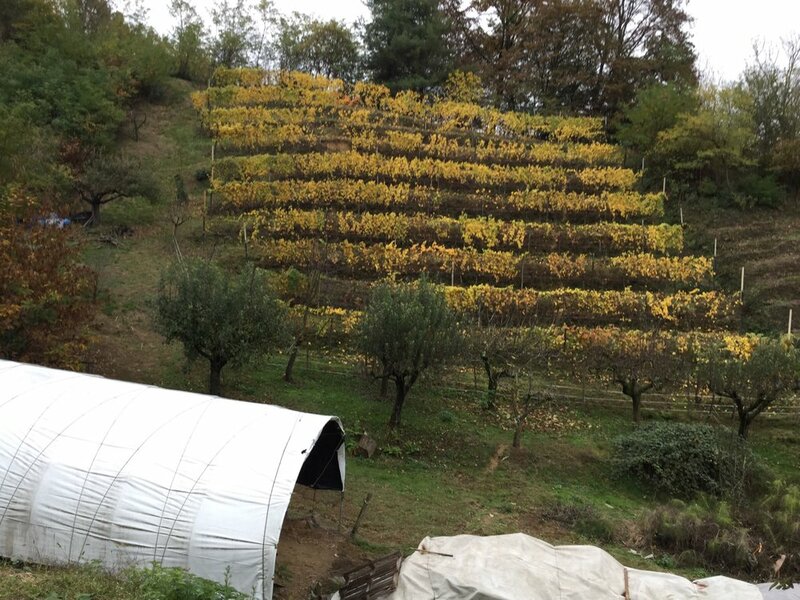 This area of northern Piedmont was, in the late 19th and early 20th century, the largest area in Italy under vine, peaking in 1904 with over 45 thousand hectares. Bottles of Alto Piemonte wine fetched higher prices than Bordeaux and Burgundy. After a massive hailstorm in 1904 and the rise in the textile industry, the area was largely abandoned, dipping to only 2000 hecatare under vine in the 1980s. 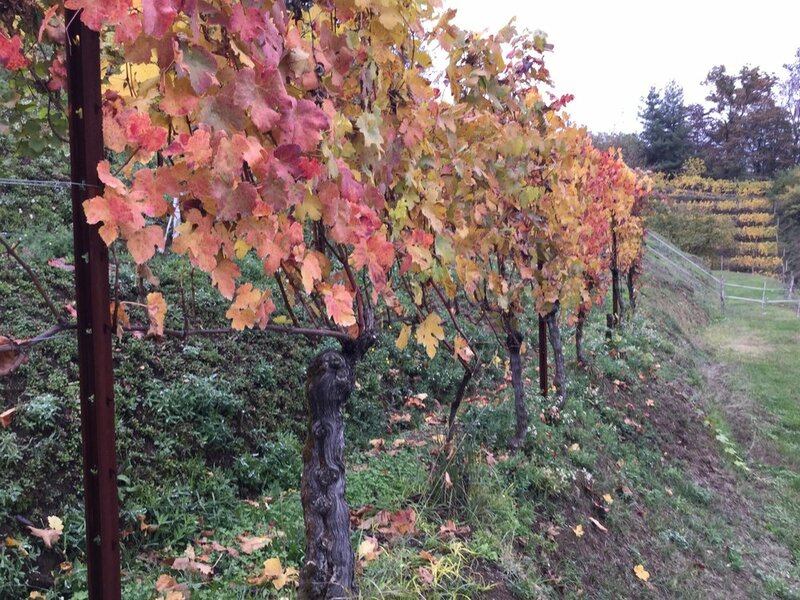 Savvy consumers are now recognizing that the distinct, low pH soils of the area make for remarkable wine values. A classic field blend from the sandy, morainic, low pH soils of Lessona. This non-vintage Alto Piemonte Vino Rosso is made entirely from the 2014 vintage. A blend of 1/3rd old vines Nebbiolo (60-70 year old), 1/3rd Croatina and 1/3rd Vespolina from vineyards surrounding Fabio Zambolin’s house. While the grapes come entirely from Lessona, Fabio’s winery and home straddles the border, and the facility is officially in the commune of Cossato, thus the Vino Rosso designation. The grapes are destemmed and allowed to ferment spontaneously in stainless steel tanks for 20 days after which the wine is moved to used barrique for eight months. Malolactic fermentation occurs in the spring. This is a dark and powerful Alto Piemonte red with brambly red fruits on the nose, a structured, somewhat rustic palate, and fine tannins. Only 800 bottles produced. 100% Nebbiolo from the high acid, yellow sand soils of volcanic origin that are typical of this zone of the Alto Piemonte. After 10 days of skin contact, the Gioia d’Autunno is fermented in stainless steel and put into used, five year old barrique for eight months. No fining or filtration at bottling. This is a remarkably fresh, aromatic Nebbiolo; structured and dense, with good acids. Notes of bergamot, watermelon and pomegranate on the nose.